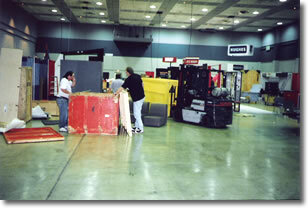 Tradeshow Services, Inc., has been installing and dismantling exhibits for over 25 years. Our experienced staff will assist you in setting up your event. In the alternative, you can ship your exhibits ahead, and our staff will install your display before your arrival.